Web analytics can provide the what, the when and the how, but struggle to deliver the why and the rationale which explains the numbers from your analytics tool. ‘Voice of the Customer’ tools can run continuously in the background, be focused on specific pages or be time-based, gathering detailed feedback on barriers to conversion, design issues, user confusion – all useful and actionable insight for marketers. These tools allow you to go beyond the quantitative insight of analytics tools and provide a deeper layer of site visitor feedback. Tools in this category are growing in popularity and include general website feedback, crowd sourced product opinions and exit survey functionality. Be careful not to request too much data. Just like us, users are put off by surveys that are pages and pages long, feedback forms and exit surveys should be as short as possible to collect the insight you’re wanting to capture. Response rates can be low so bear this in mind if wanting to capture specific insight on a campaign or product (volumes may be an issue). Incentivising responses can help to increase uptake but may also skew the responses to a less representative sample. You may want to experiment with different capture methods, both the way feedback is requested (i.e. 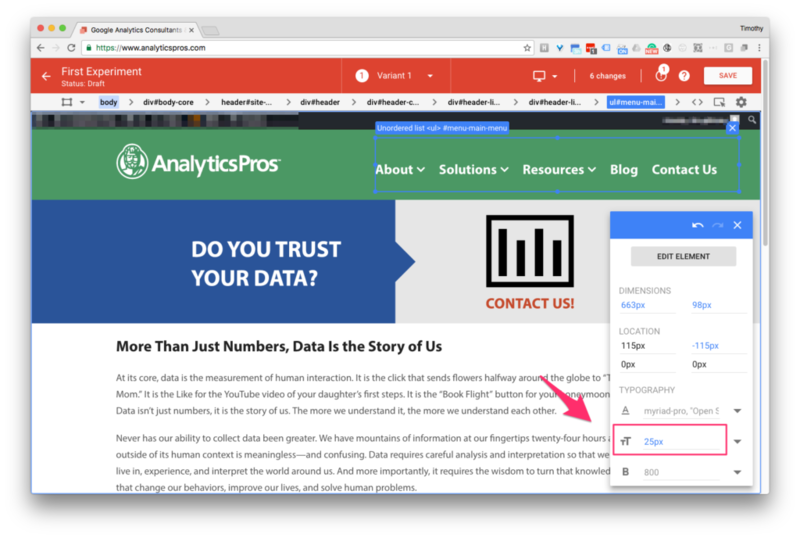 on-site pop-ups, vs. tabs vs. email) and the data fields (i.e. drop downs vs. free text fields) used. Survey money is a great option for traditional customer or site visitor research prompted by email or on a website. It’s the best-known survey service, popular thanks to its free option and the paid versions are a modest price. Its simplicity (along with the free option) goes a long way to explaining why it is so popular. Polldaddy is a great tool for quickly creating stylish customer or site visitor surveys. We love this tool for quickly creating stylish surveys with a range of questions types. The free version isn’t restricted, apart from the presence of branding. We believe it’s easier to use, is better for more advanced survey options and provides better reports than Typeform. It’s ease of use and style of templates make it stand out from the competition. Range of 19 question types including support for Matrices / Likert questions. Good range of export options including Microsoft Office options. Typeform lets you produce simple, interactive looking surveys. In terms of aesthetics of the finished survey, it’s the best option out there. It’s simplicity of the finished design and quality of its interactions, particularly for mobile devices make it stand out. Typeform is a highly rated new entrant suitable for user-friendly consumer surveys on mobile. It is less suited to research or more complex surveys than the two preceding options in this category. 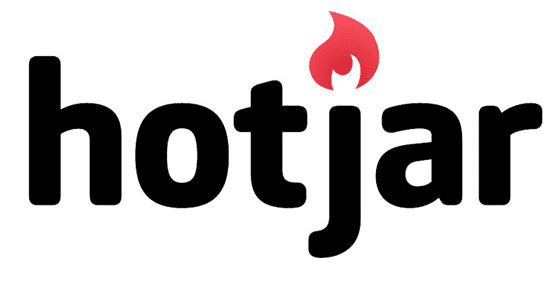 Hotjar is an all-in-one analytics and feedback tool helping you to truly understand your web and mobile site visitors. This is a relatively new tool, but we prefer it to some of the existing services since it also enables questions to be asked on some pages for qualitative feedback. Other tools in the category don’t all provide insights from prompting visitors with polls. Heatmaps: Visualise your visitors clicks, taps and scrolling behavior. Recordings: Eliminate guesswork with recordings of real visitor behaviour on your site. Polls: Understand what your visitors want and what’s preventing them from achieving it. Funnels & Forms: Find the biggest opportunities for improvement and testing by identifying on which page and at which step most visitors are leaving your site. 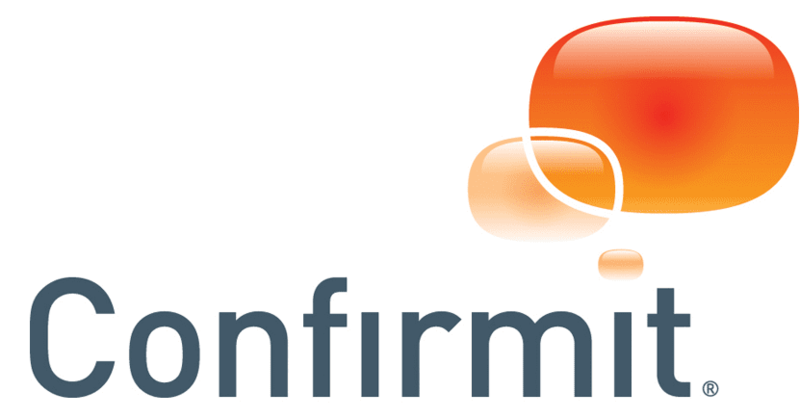 Confirmit is an enterprise VoC option for large-scale surveys deployed across multiple segments, product categories, business units or countries. Confirmit covers the range of the Voice of the Customer process, from program definition and design to analysis, reporting, and action management. It is a powerful tool, but expect to pay an enterprise level price for it. 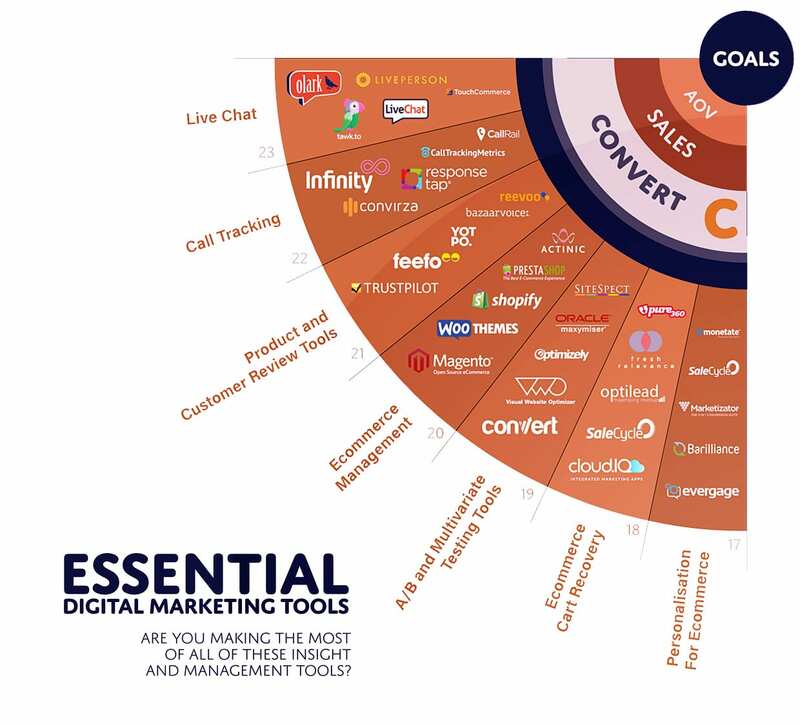 This free 100+ page guide explains why we have chosen the 5 tools in each category and gives links to all the tools. Cart recovery tools use email and on-site notifications to drive users back into a site (usually the checkout pages) with the aim of driving incremental transactions by reminding customers of the products or services they abandoned. With initial customer acquisition becoming increasingly expensive, brands have focused their efforts in trying to re-engage and convert those users they’ve already spent money acquiring and/or who have already expressed some level of interest in a product or service. Cart abandonment is the use of remarketing at the closest point to conversion i.e. once a user has added something to their cart but fails to check out. Cart abandonment tools can therefore be an extremely cost effective way of increasing sales, and usually generate great returns on investment. If you are considering investing in a cart recovery tool for your website, here are some of the top providers to consider. 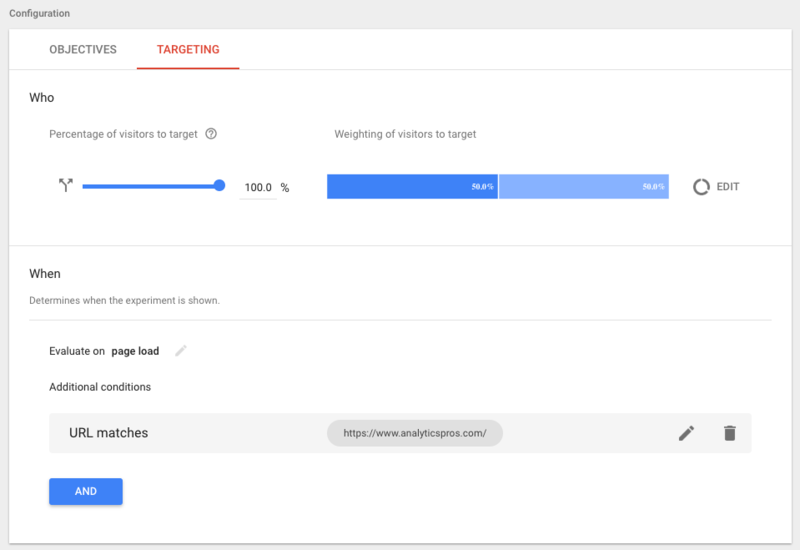 After months of anticipation, Google has finally graced the analytics world by releasing a free version of Google Optimize, their new A/B testing platform. Google Optimize is just starting to rollout to early users who signed up for early access. If you have not signed up yet, it is not too late! For those of you who have experience with other popular A/B platforms (Optimizely, Unbounce, etc. ), think of this as another tool in your optimization tool chest. If you’re new to the A/B testing game, don’t panic! This is a great platform for getting started on the path to optimizing your site’s user experience. Also…did I mention it’s free? 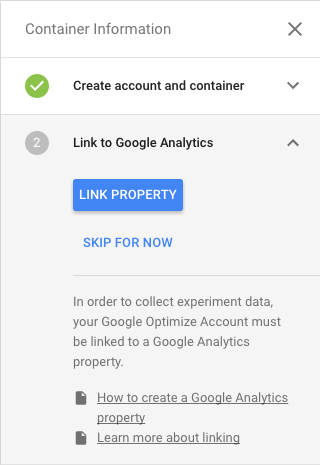 One clear strength with Optimize is the ability to link directly to your Google Analytics (GA) Property. This makes it much easier to access data on your testing experiments than other optimization platforms. 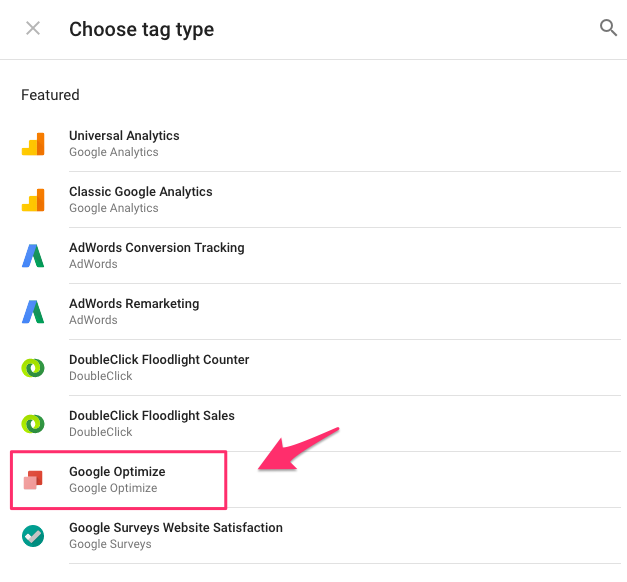 Optimize is also natively built into Google Tag Manager (GTM), making it easy to add the platform to your pages. Today we’ll go through the process of adding Optimize and starting a test on our homepage. 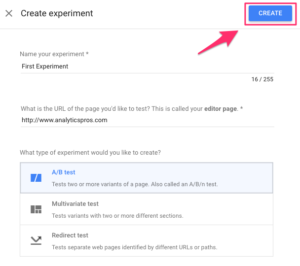 Feel free to follow along as you build out your first Optimize experiments on your site! First step – done. Not too bad, right? Now we need to add the Optimize snippet to our site, and this can be done in several ways. First, let’s take a look at the two code formats; standard code vs page hiding code. With standard code, your Optimize tests will work properly, but the site visitor may see what’s called a “page flicker.” It’s essentially a brief flash on the screen where they first see the original page and then quickly see the experiment version of the same page. It’s not a huge problem per se, but Optimize does have a way around this issue. For the example in this post, let’s assume we want to add Optimize with the page hiding snippet. If you have GTM, use the following instructions for adding your Optimize code. If you don’t have GTM, head over to this section for hard code instructions. 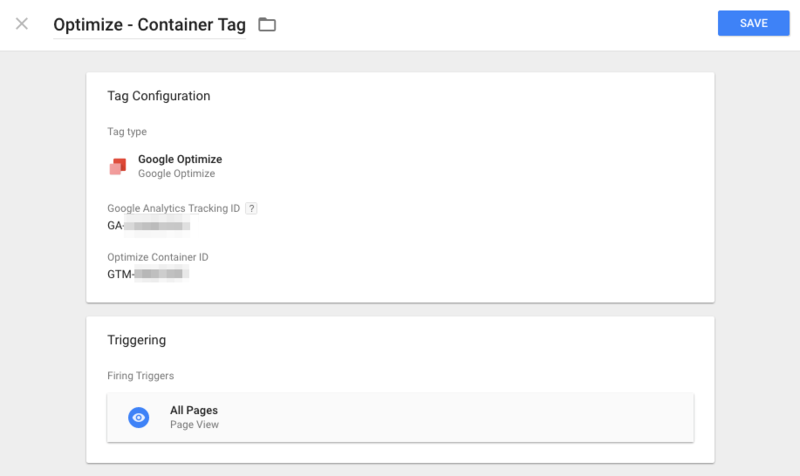 Once you publish the GTM container you can use Optimize, but remember that we want to add the page hiding snippet. Unfortunately, this has to be done outside of GTM, as the code needs to go above your GTM container. Add the following snippet at the top of all your pages where Optimize/GTM will fire. Make sure to replace the GTM-XXXXX with your GTM container ID, NOT the Optimize container ID. Click here to skip the hard code section. Replace the XXXXX with your Optimize container ID #. 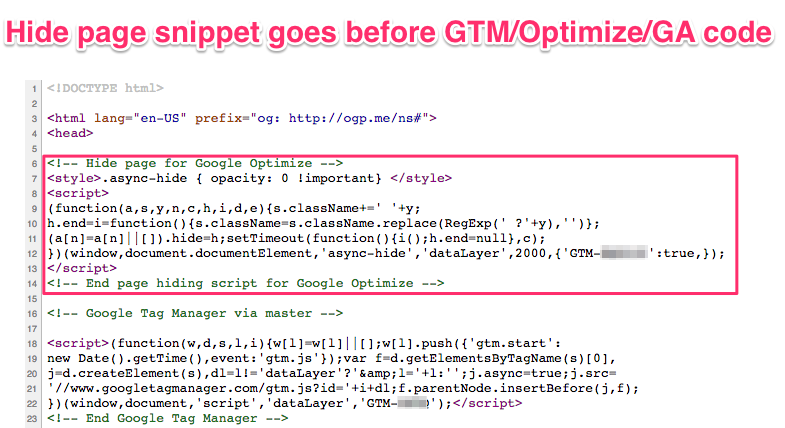 This can be confusing since the code says “GTM”, but make sure you use the Optimize ID #, NOT your GTM container ID. Now you’ve added Optimize to your site! A/B Test: Test one variable change on two or more variants of a page. Multivariate Test: Test multiple variable changes on two or more variants of page(s). Redirect: Test variable changes on pages with different URLs. If we enlarge the header links on the homepage, we will receive more traffic to our blog. For this example we’ll use a goal that triggers each time a blog page is viewed. We’ve selected the link group and increased the font size by 5pts. Once we’re satisfied with the variant click Save to update the variant. For A/B Tests make sure to only change one element on the page per test. If you change multiple elements you can’t declare with certainty what was successful (or unsuccessful) in your experiment. We recommend checking in on the test details daily for the first few days to make sure everything is running properly. Make sure to see the variants of the test live on your site to make sure they look the way you want. To check on the progress of your experiment go to the Reporting tab in Optimize. This report will tell you how each variant is performing and when you’ve reached a proper confidence level to end your experiment. We’ll cover this aspect of your tests in a later blog post. Don’t run multiple tests at the same time on a page. You can surely run multiple tests on your site, but set up the targeting so they don’t cross over each other. Give your test plenty of time to bring in data. The amount of time is different for everyone, as it depends on how much traffic your test receives. But a general rule of thumb for a good medium is 30 days. Always have another pair of eyes go to your test variants to make sure the page looks intact. If you’re not careful, editing page elements can shift other aspects of a page improperly. This is especially good to keep in mind when testing across desktop and mobile. Get creative! This is your chance to try something you’ve always been curious about for your site. Whether or not your variant wins the experiment, it’s a great way to constantly try new things for your user experience.